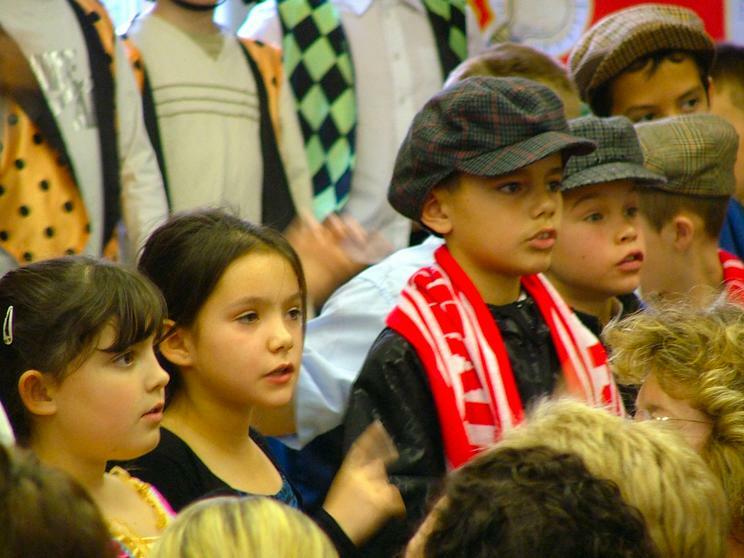 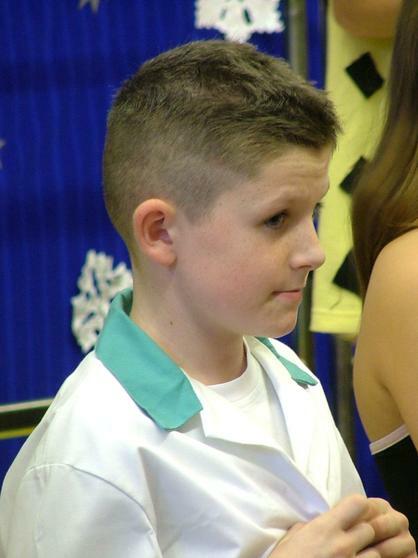 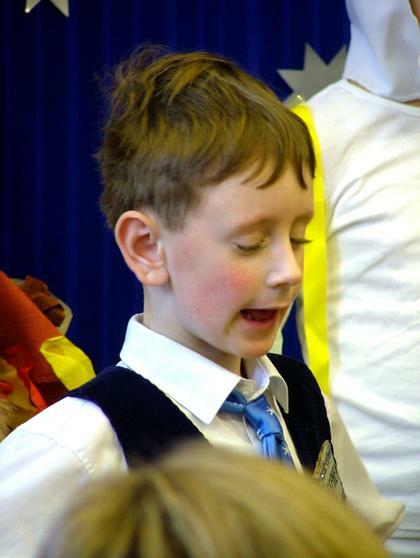 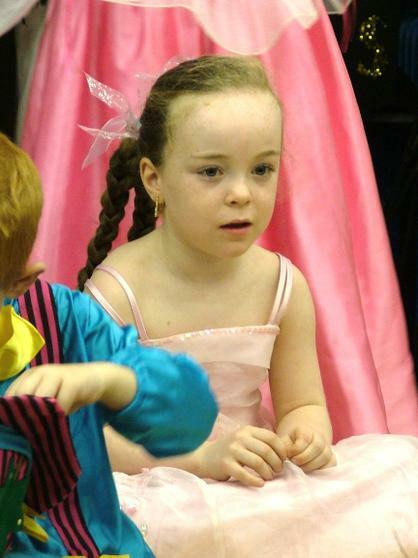 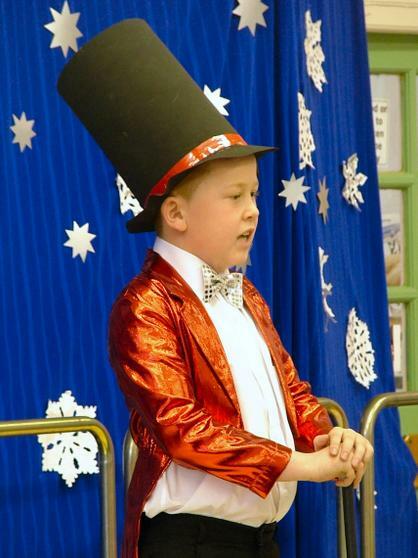 One of the nice things about a family friendly school of our size is that everyone has the opportunity to take part in the school concert and get on that stage in front of their parents and friends. 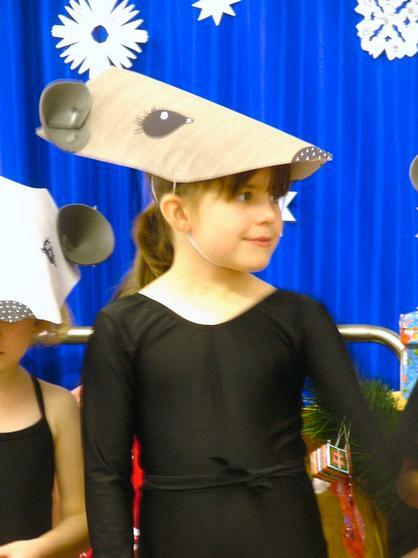 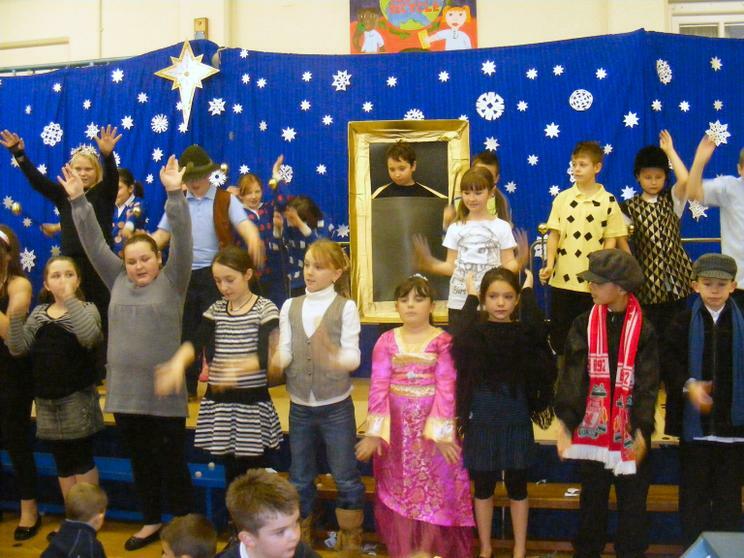 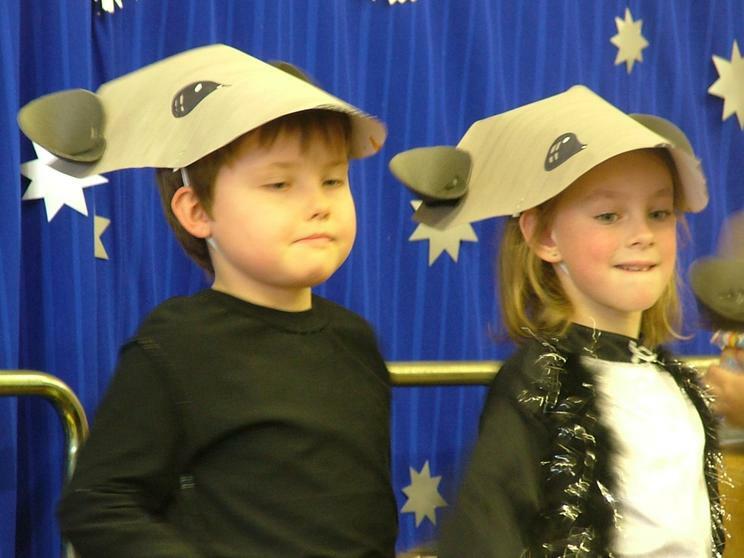 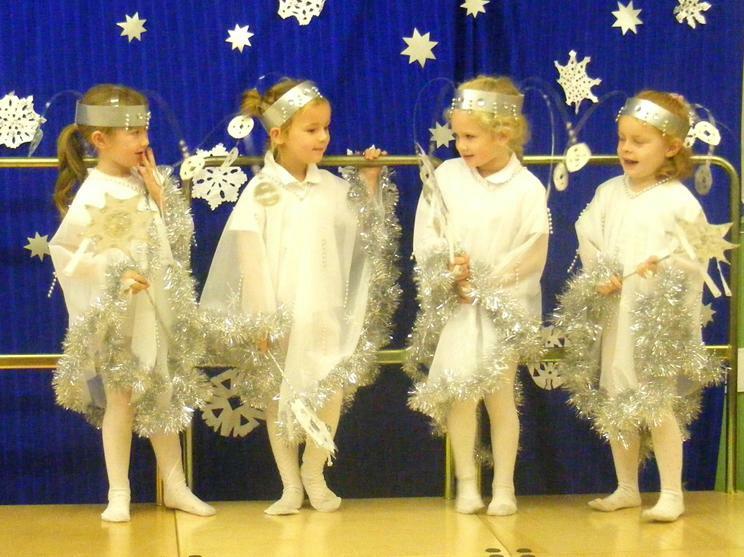 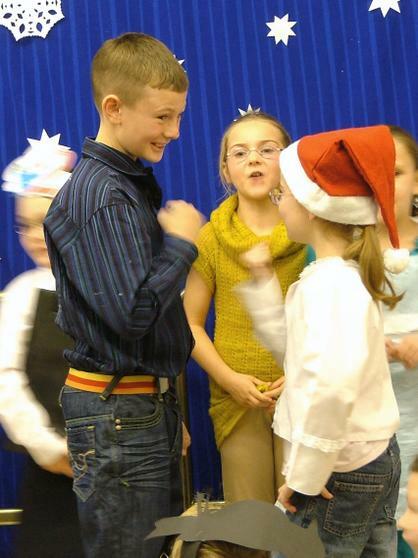 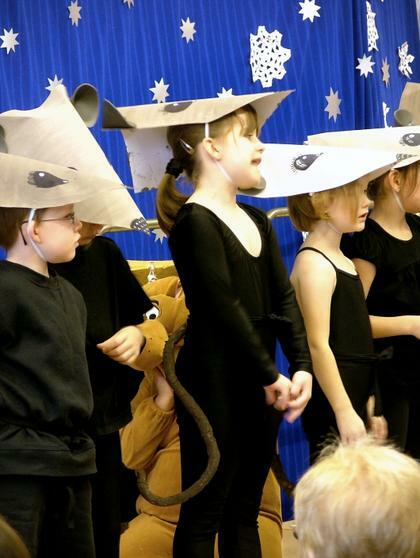 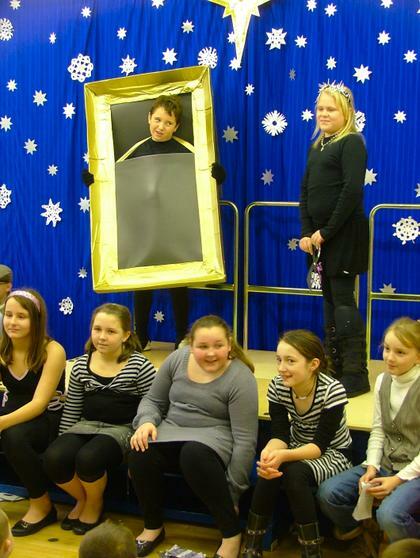 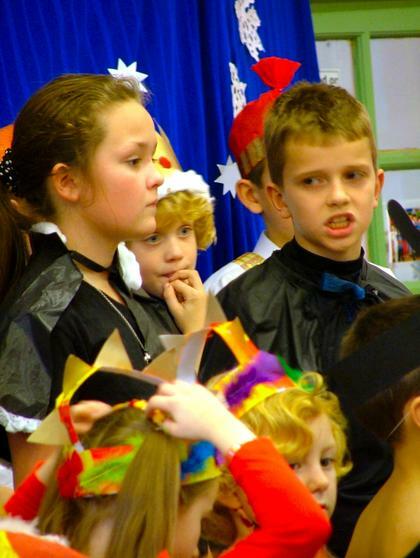 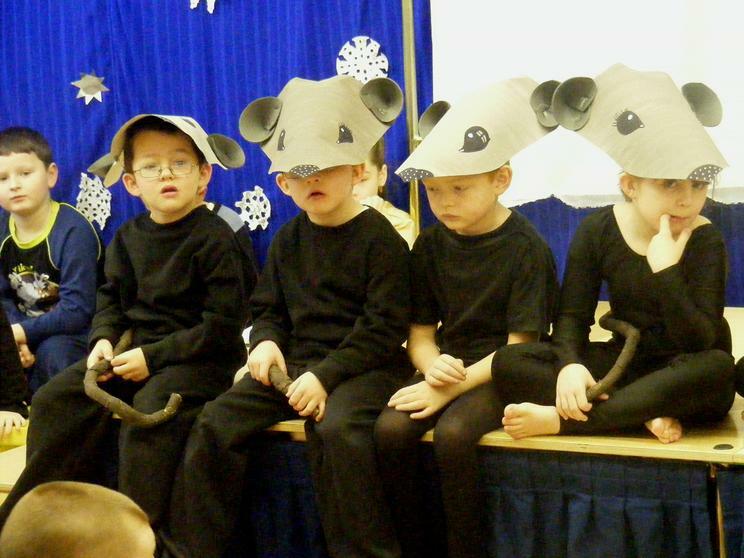 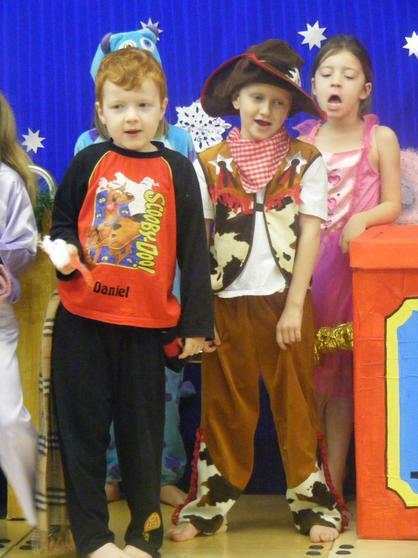 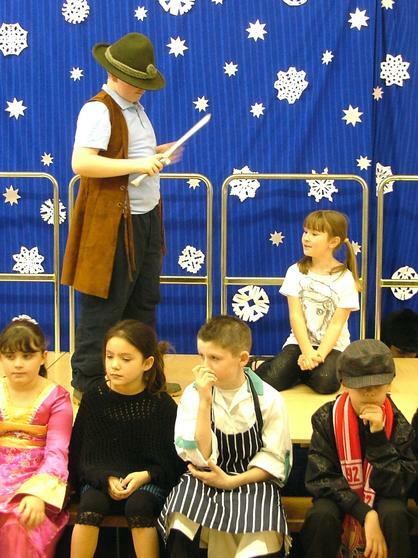 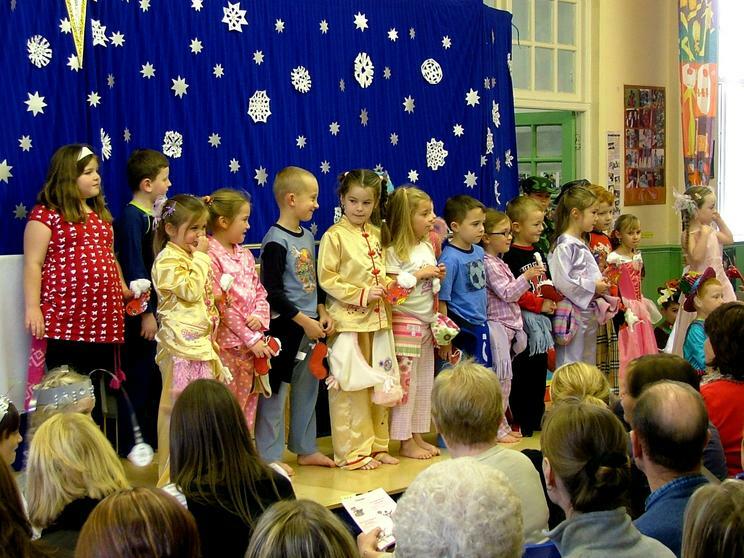 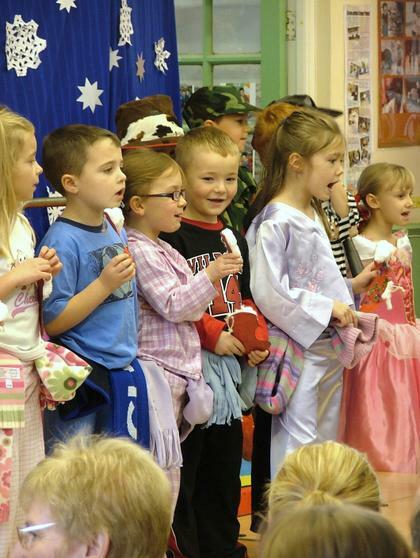 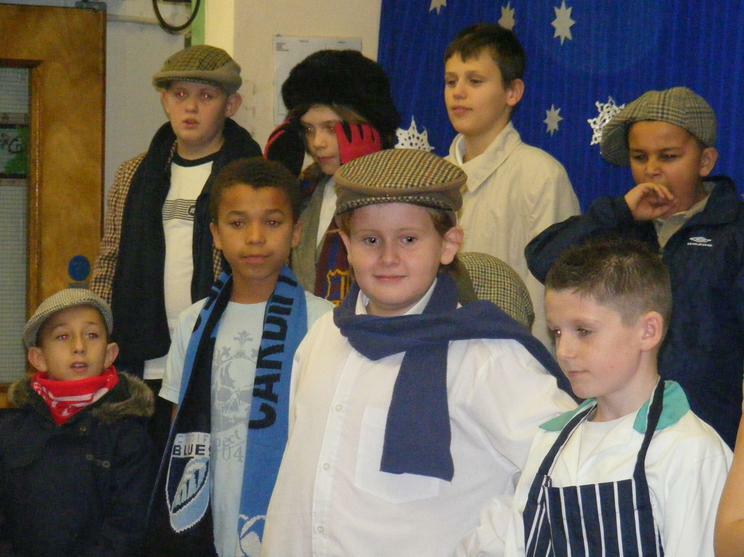 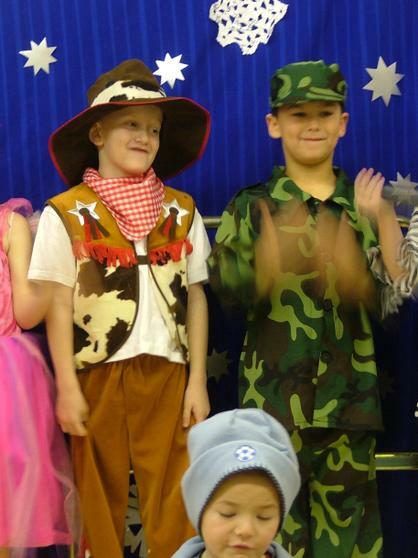 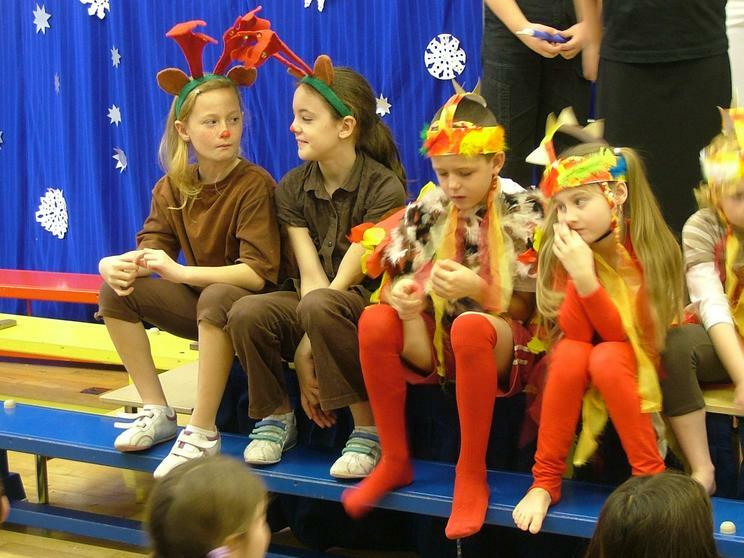 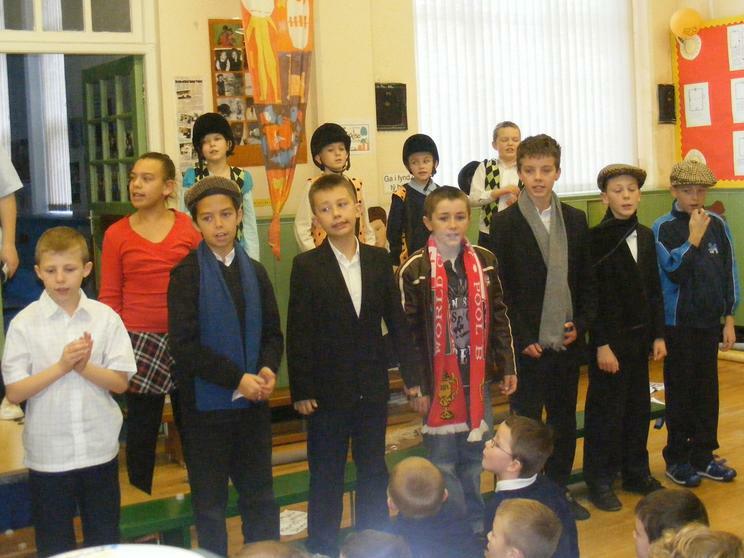 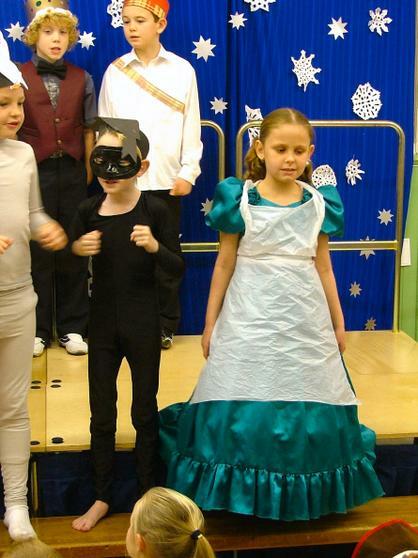 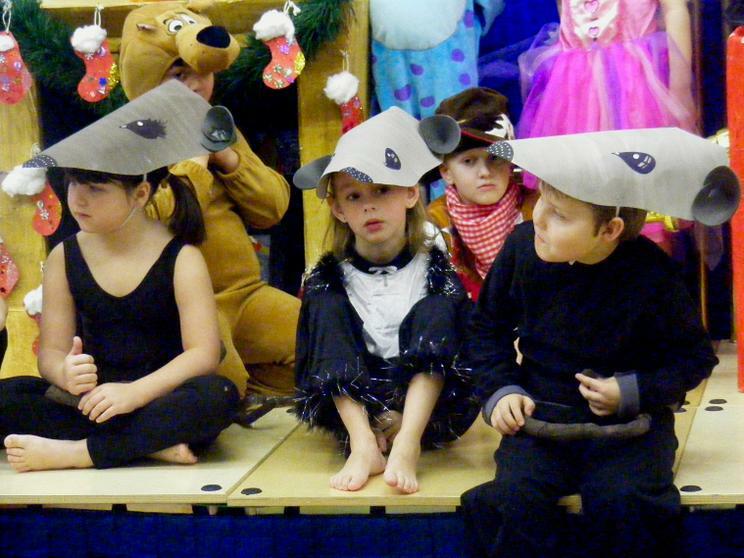 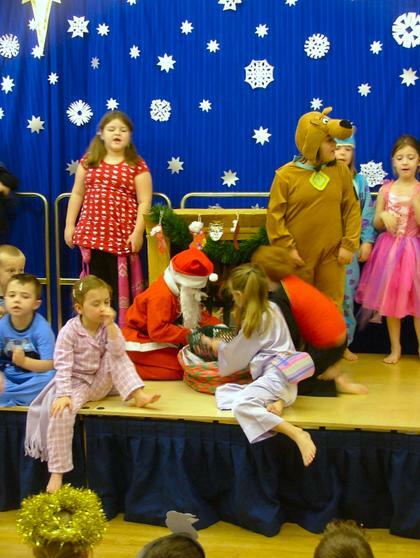 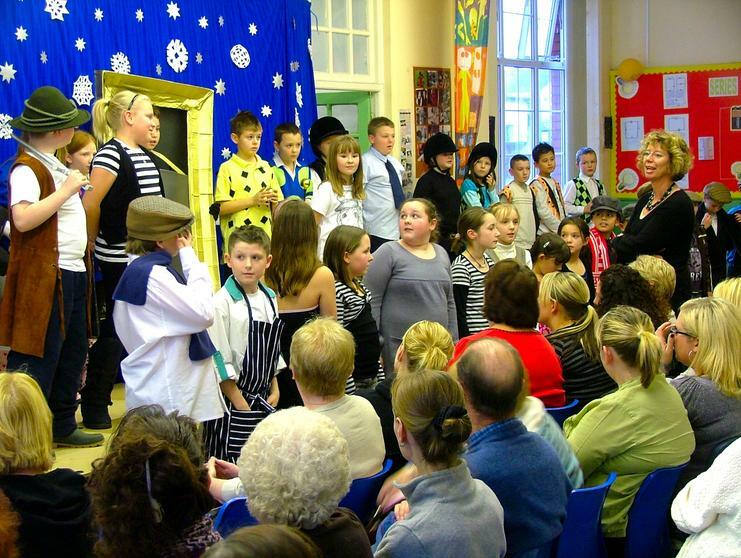 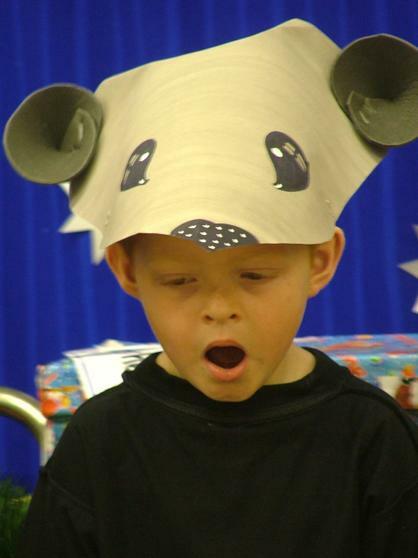 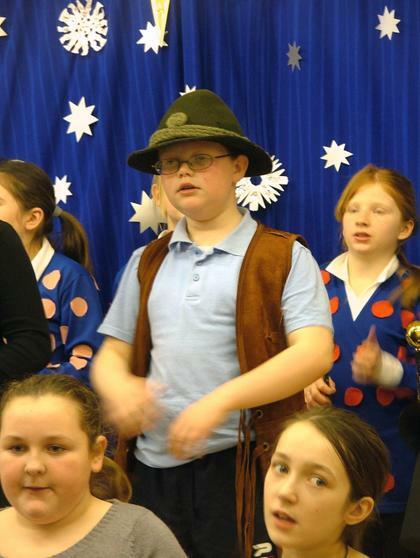 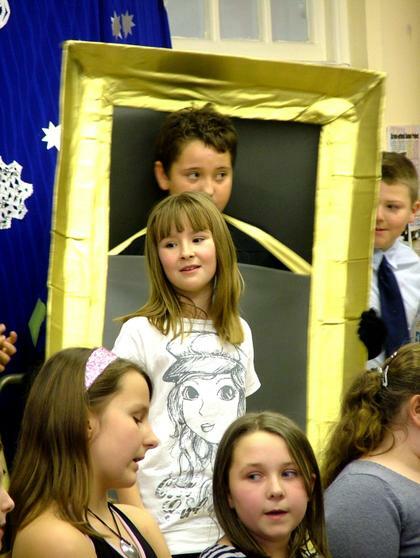 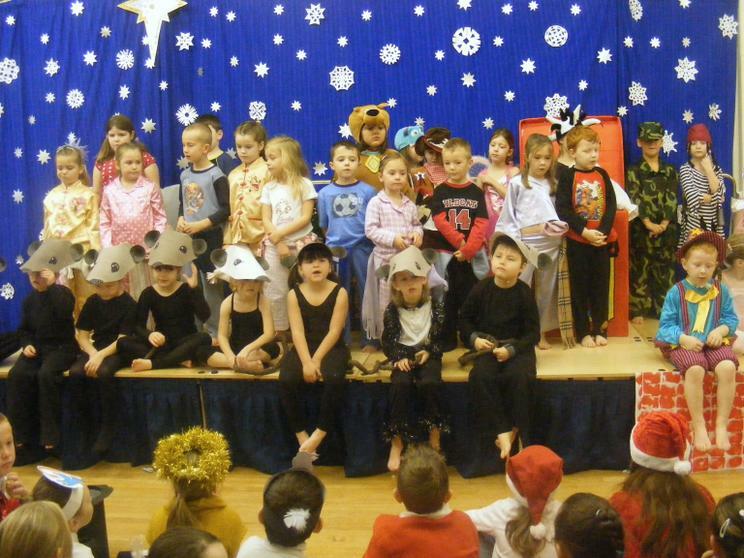 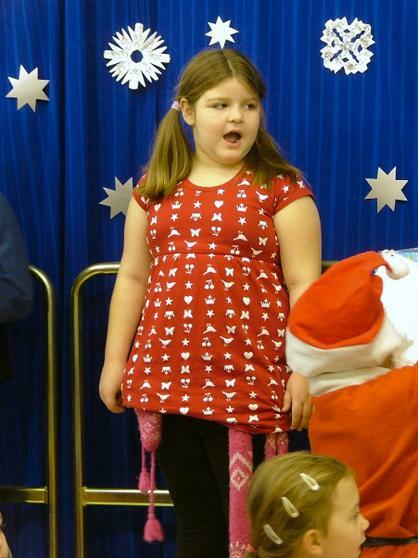 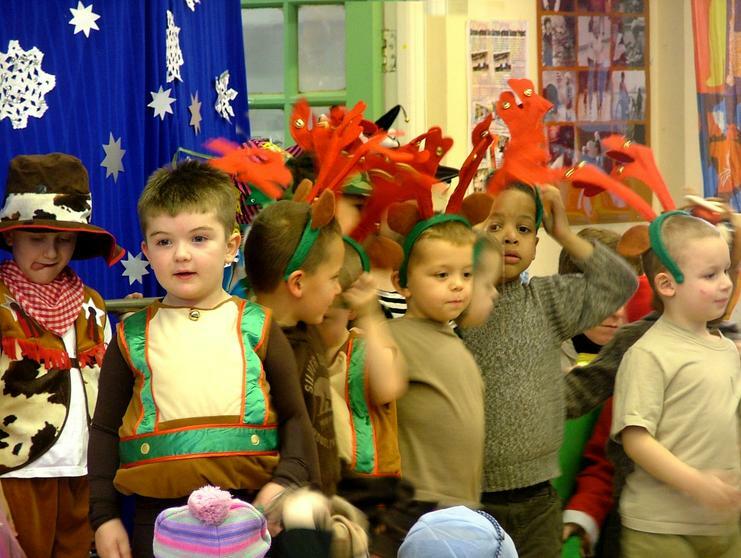 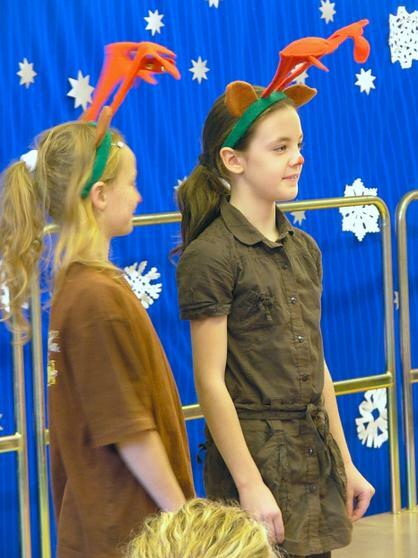 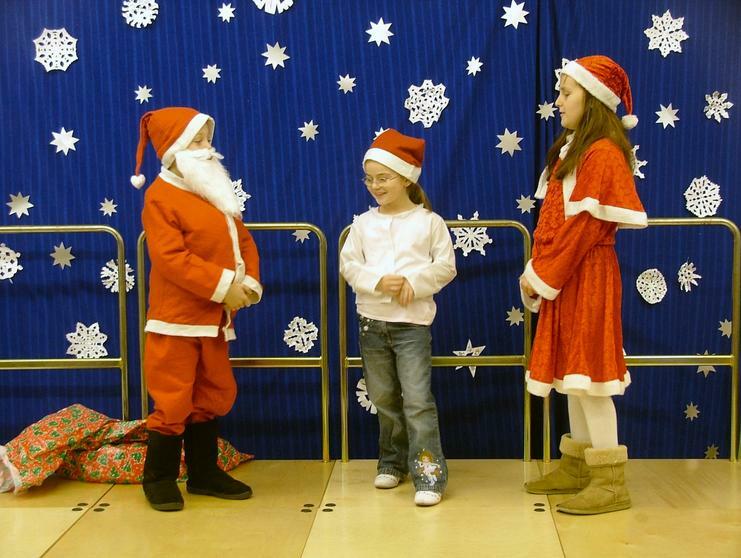 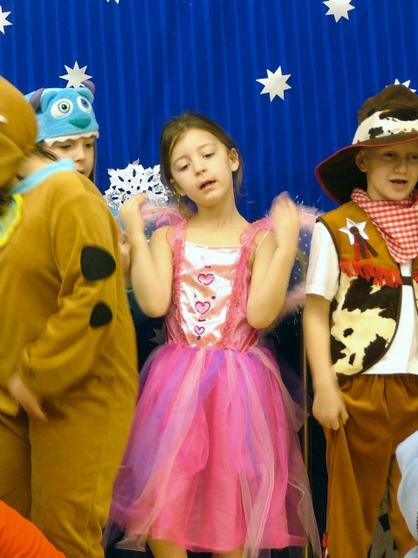 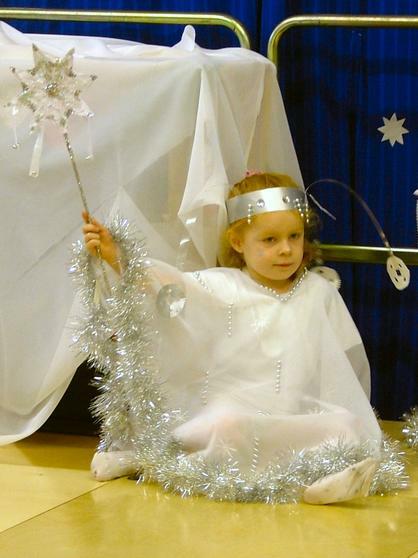 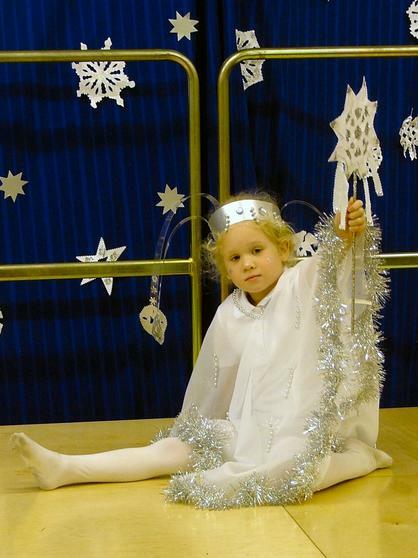 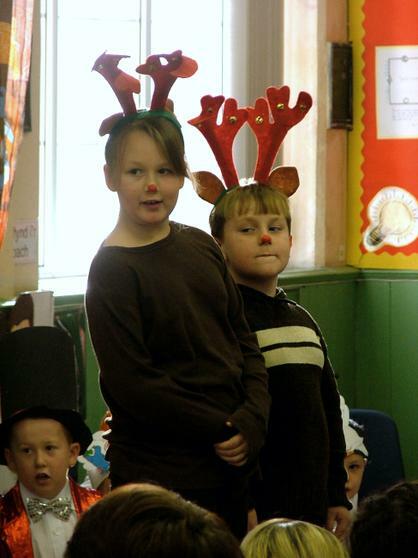 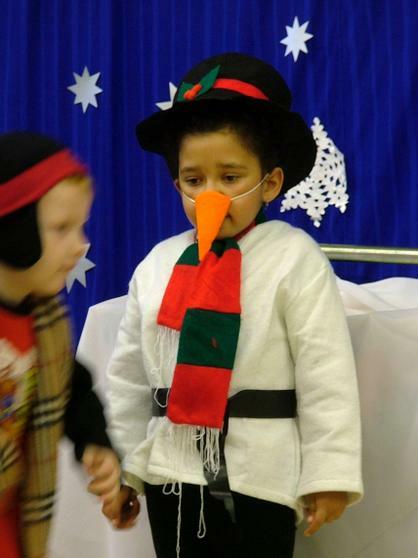 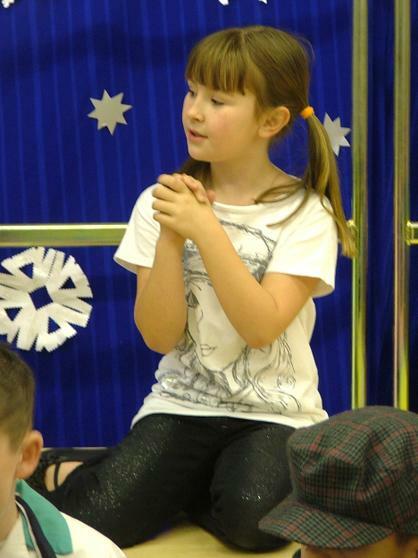 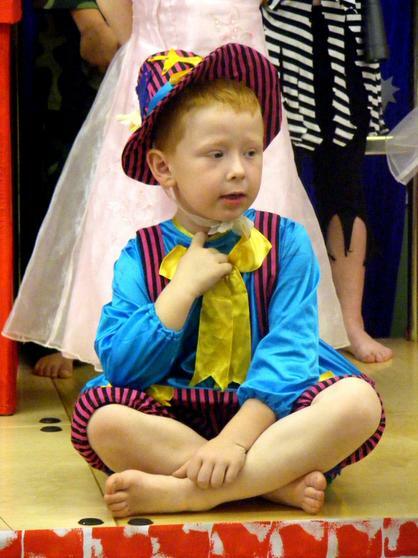 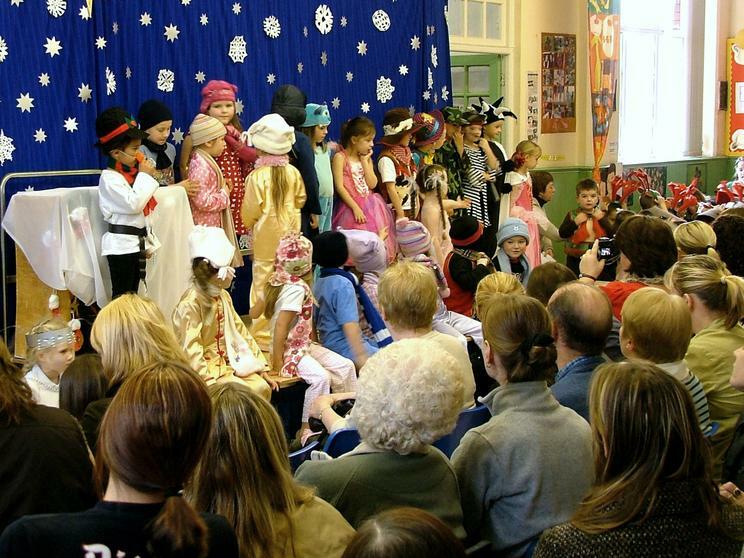 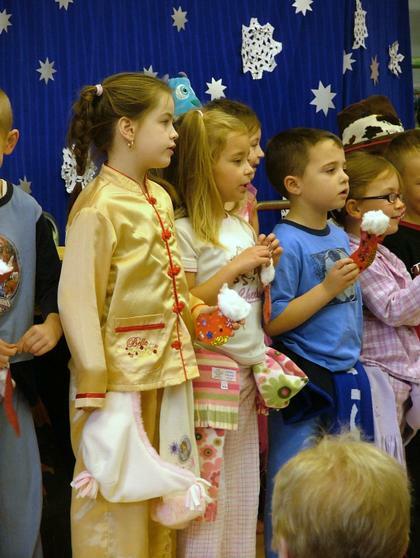 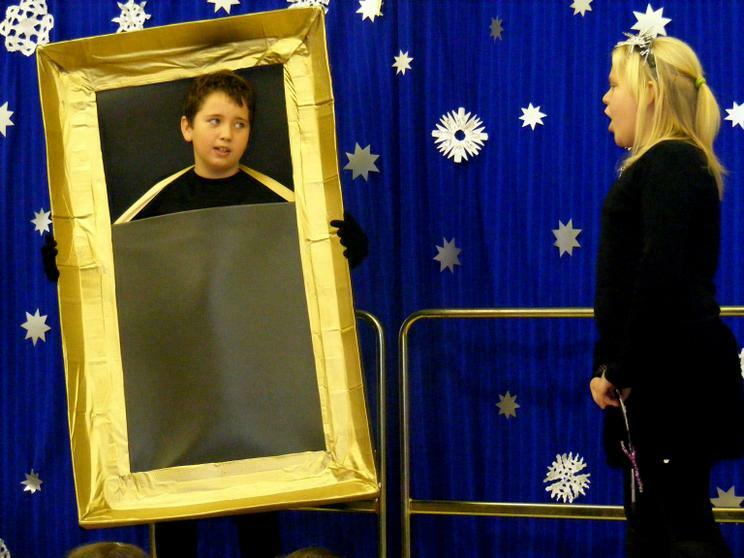 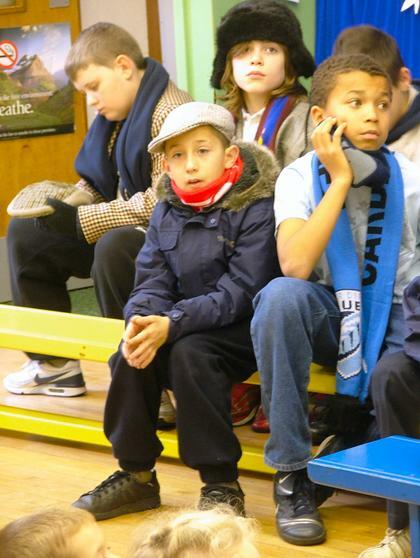 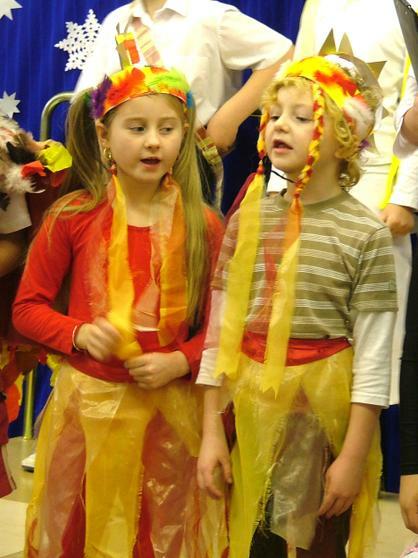 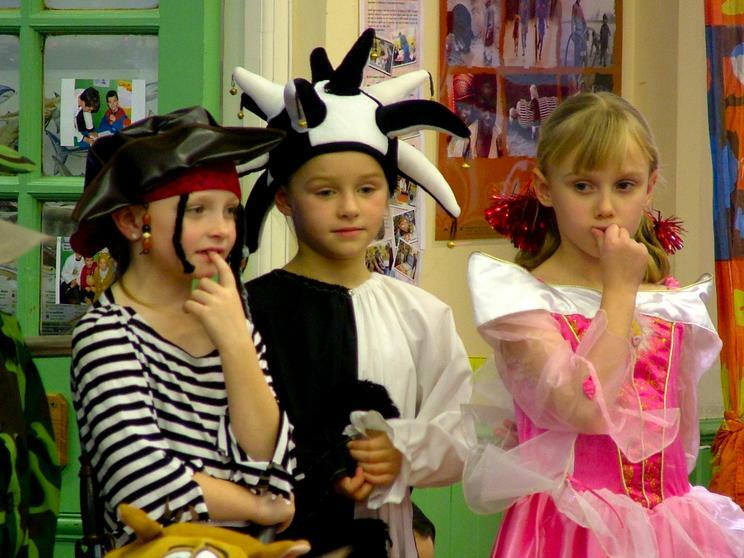 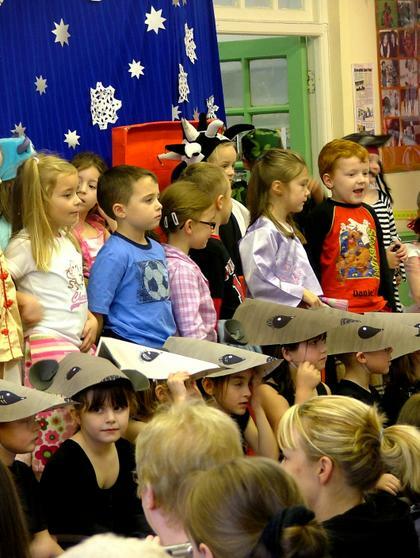 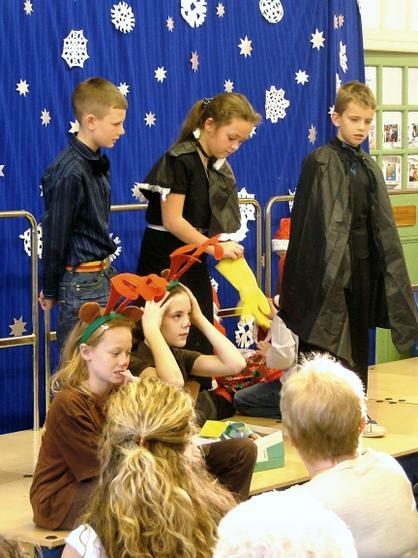 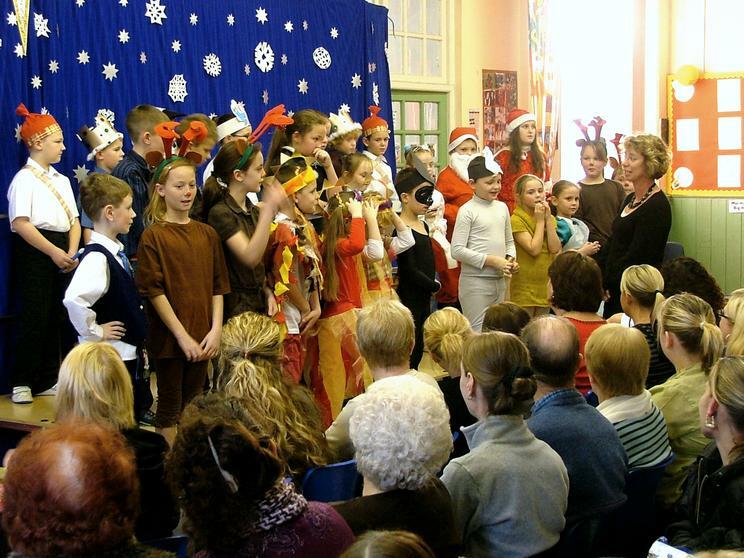 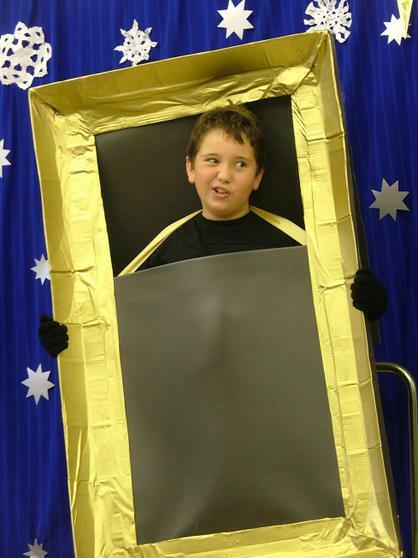 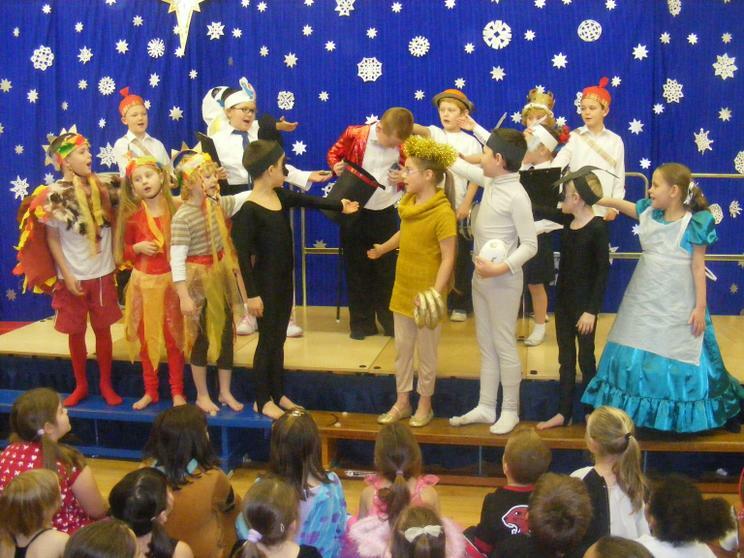 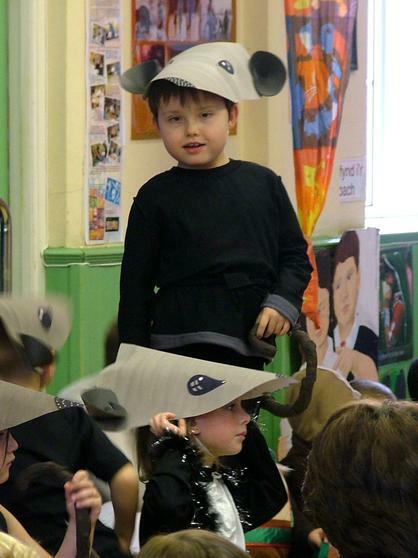 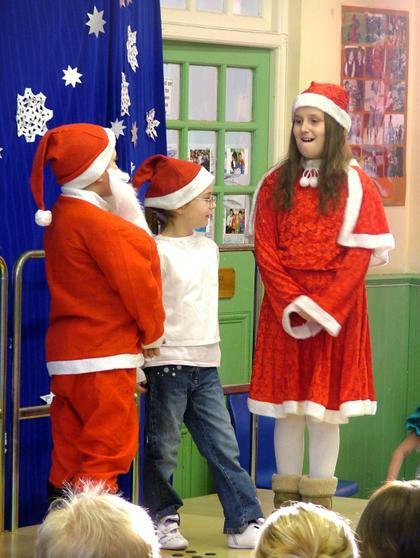 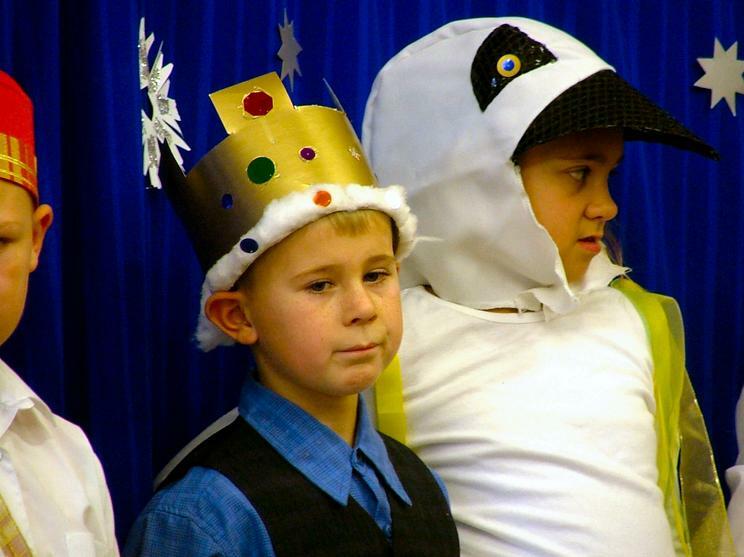 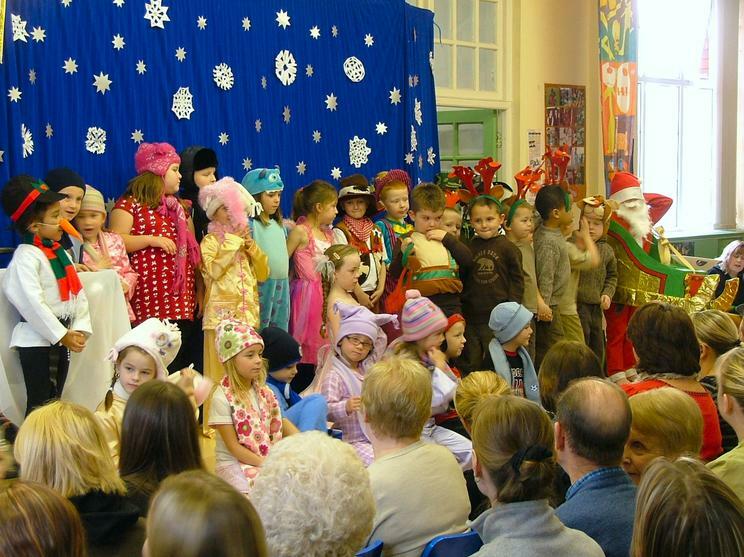 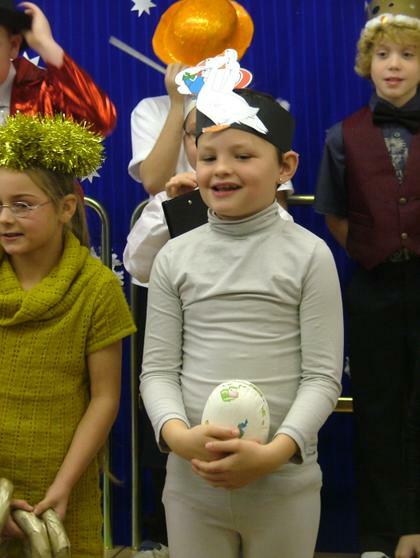 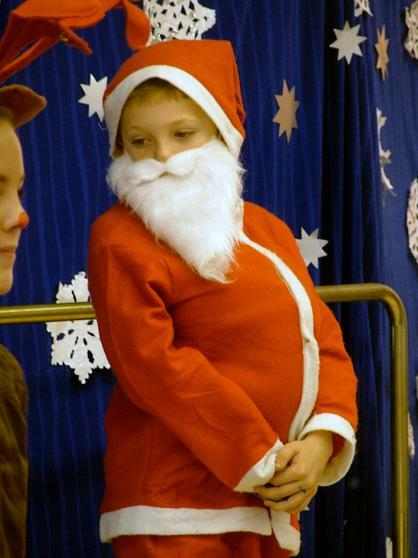 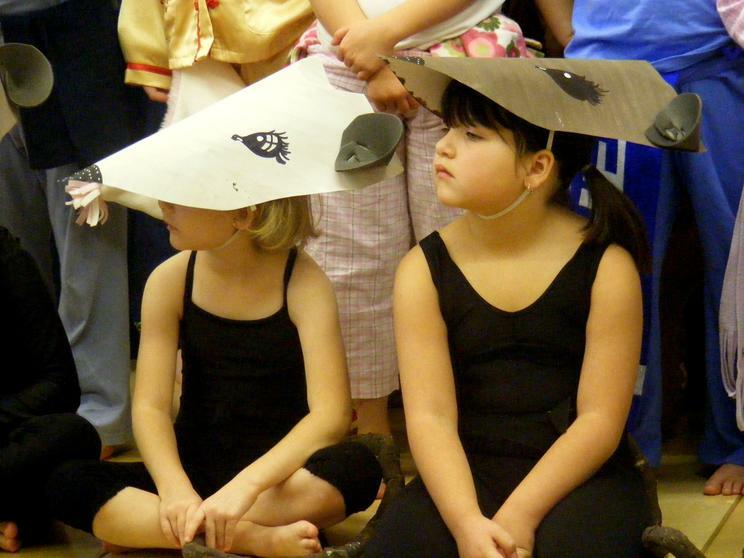 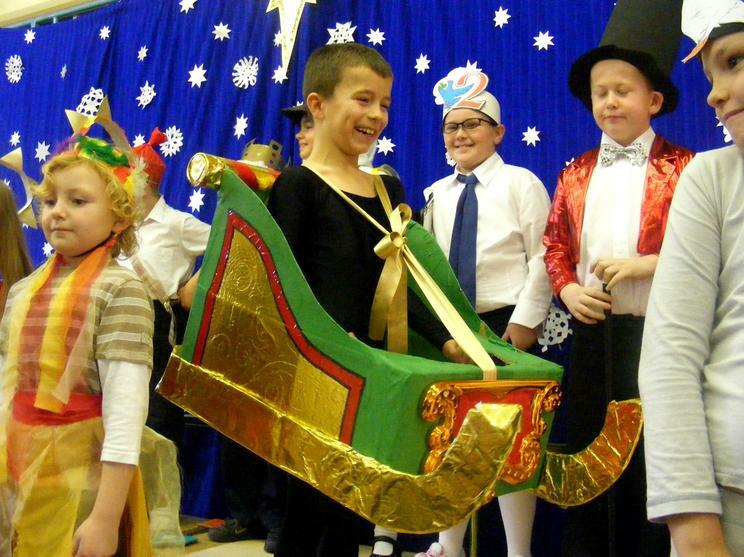 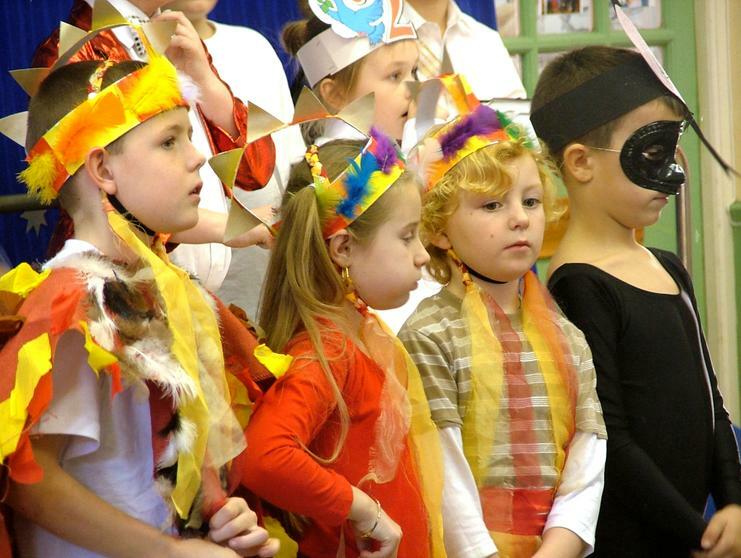 We had two performances for our parents on Thursday 13th December and one for the school. 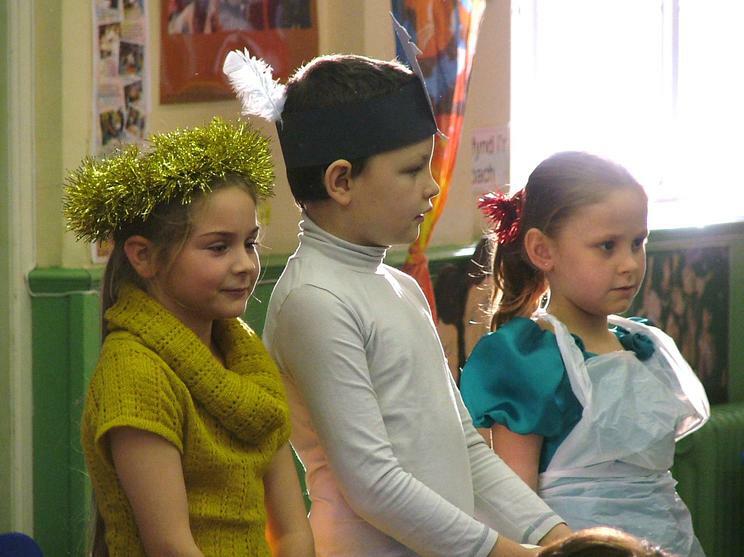 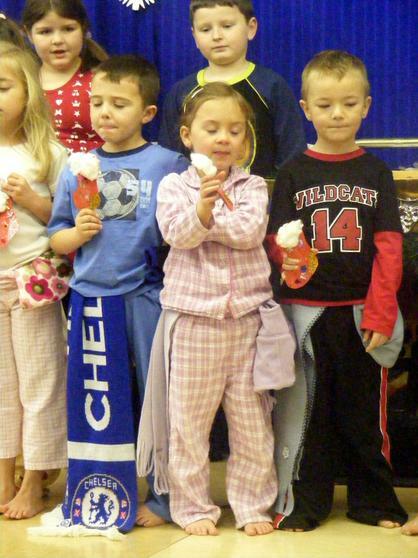 We also had a dress rehearsal and we were delighted to see our friends from Riverbank and the Integrated Children's Centre nursery come along to watch the infants perform. 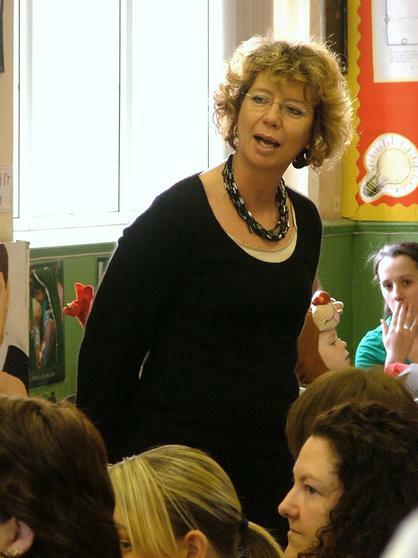 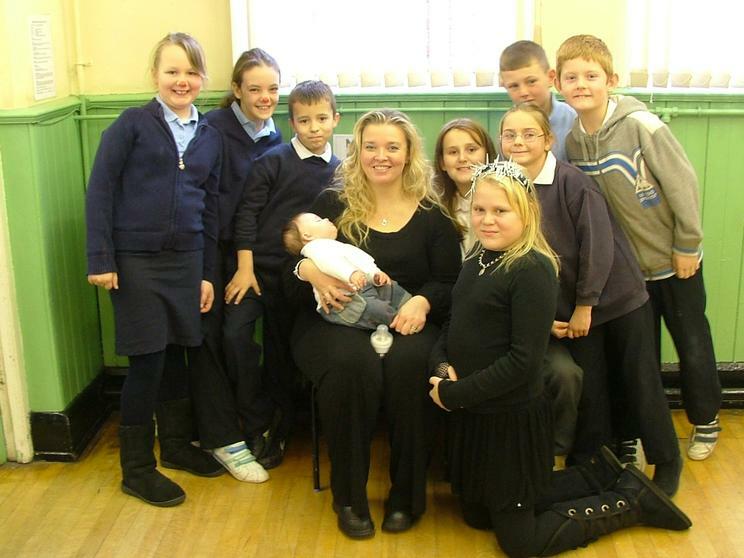 The children were also thrilled when Mrs Morgan and baby Kate popped in to watch them. 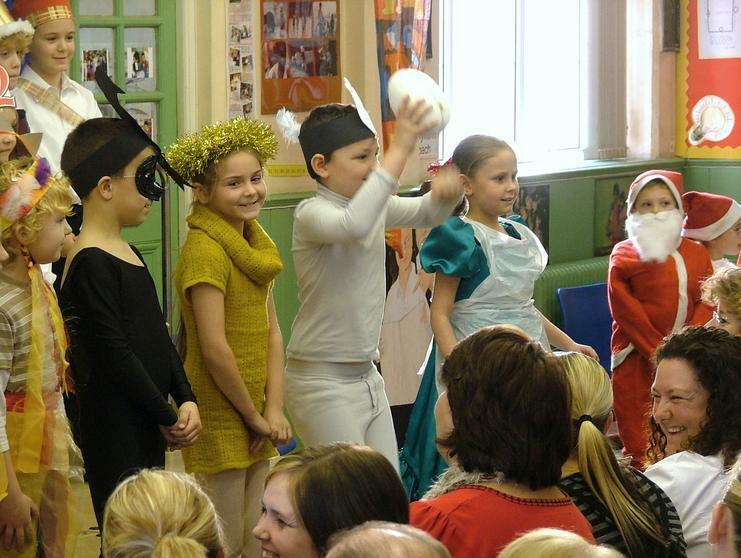 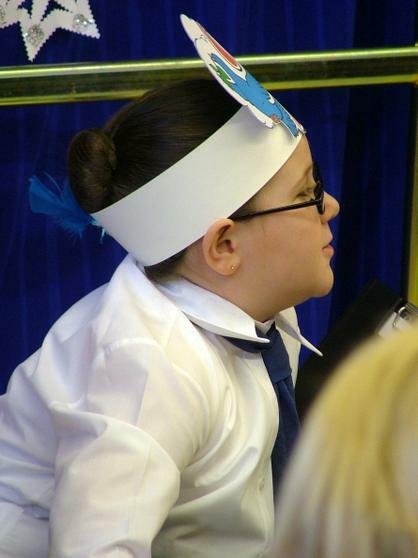 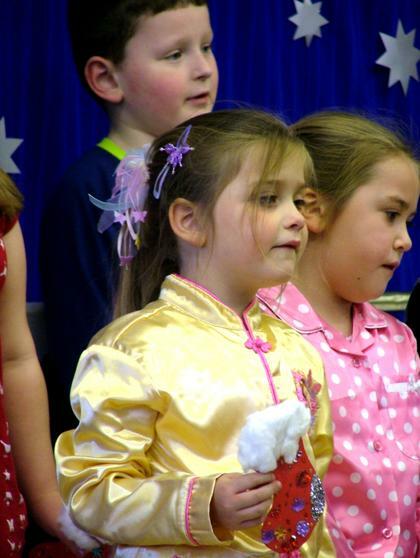 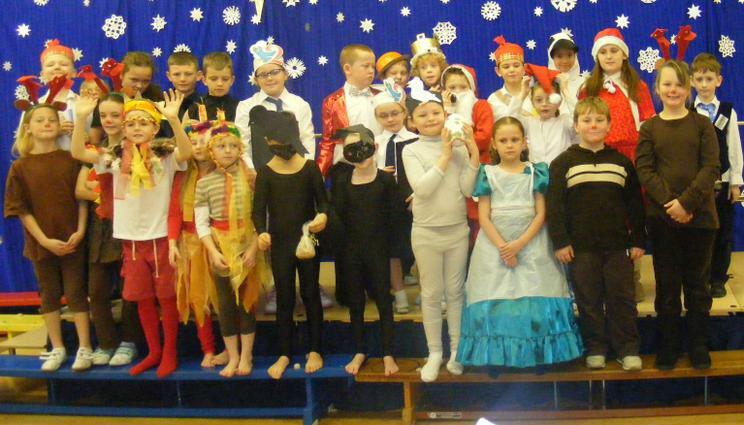 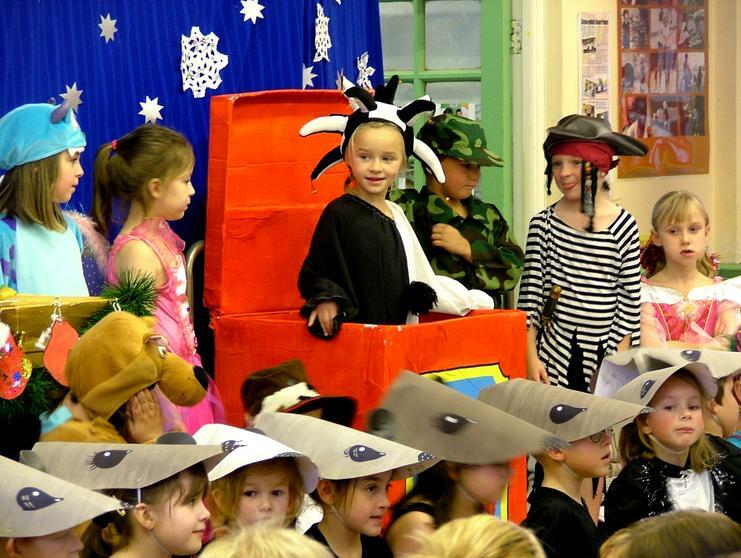 There was some lovely performances from the infants. 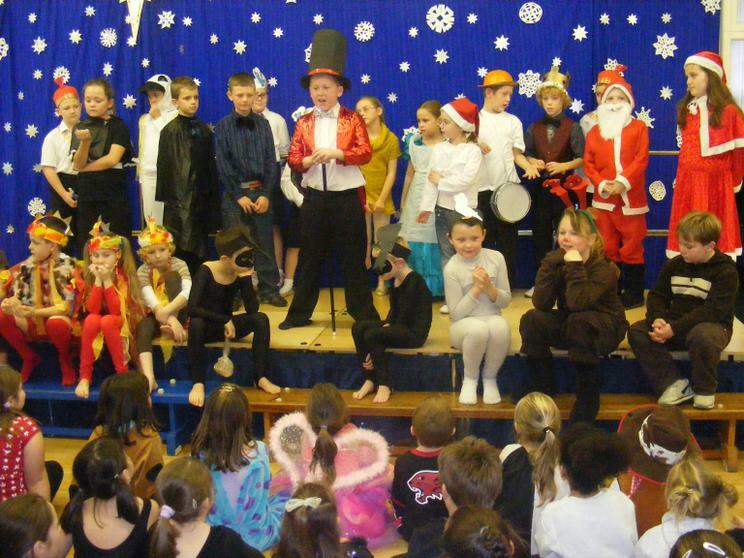 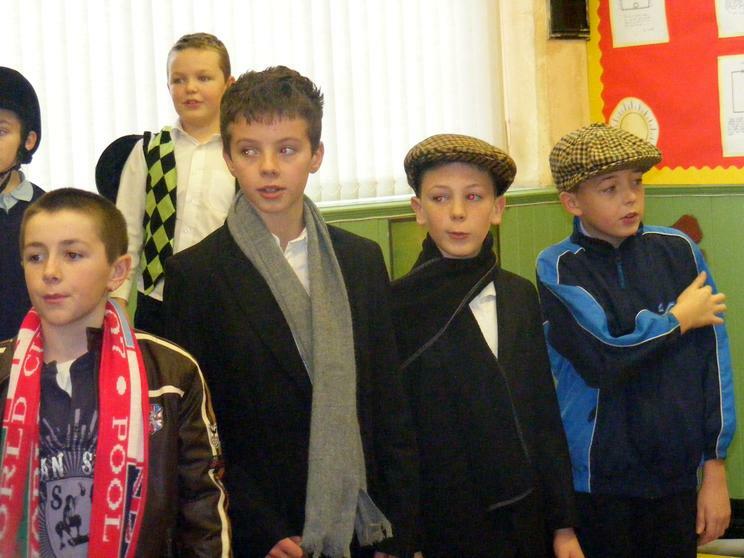 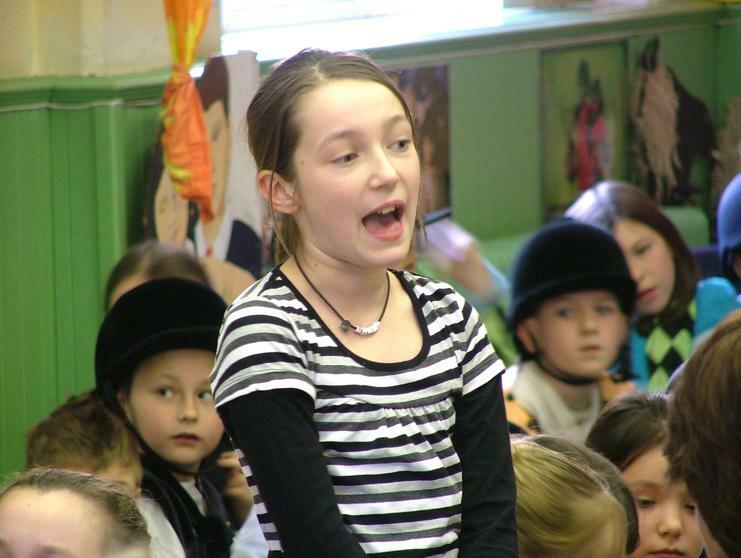 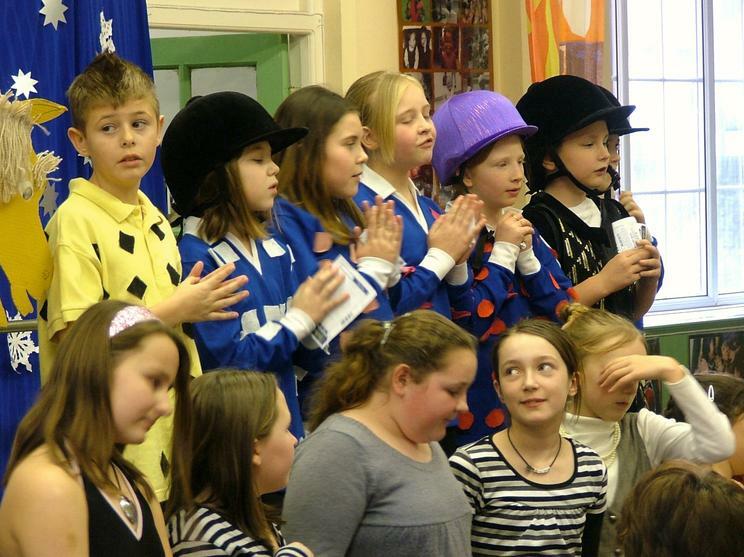 The Lower Juniors told us about "Mr Partridges amazing performing troupe!" 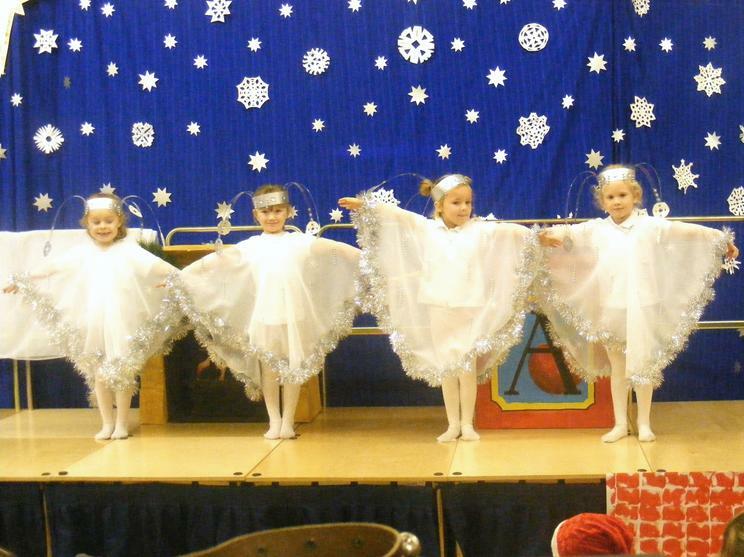 and their performance at Santa's Home. 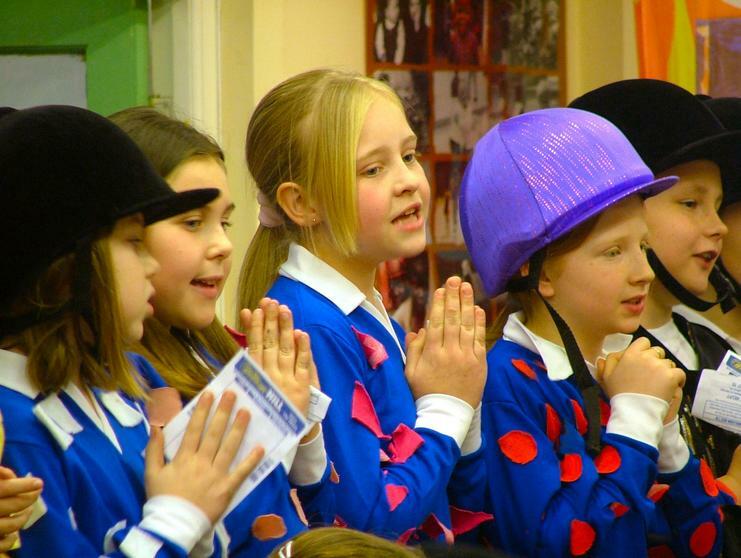 You can watch a video clip here of the children's counterpoint singing about Mr Partridge's choir. 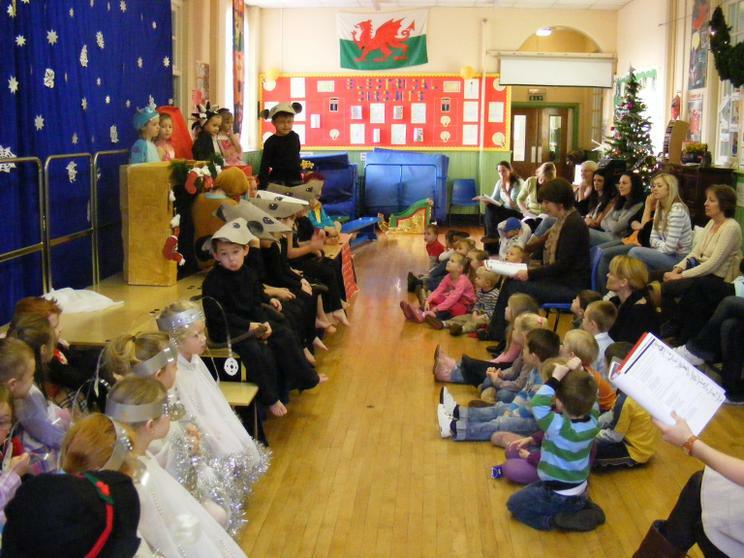 Well no time for a rest yet we went straight into practicing again for the Carol Concert at St Davids church, you can also see us yesterday at St Davids Hall too.